PennsylvAsia: Kang to rejoin Pirates for the final weekend of the season. Kang to rejoin Pirates for the final weekend of the season. Korean infielder Jung-ho Kang will rejoin the Pittsburgh Pirates for their final weekend of the 2018 season. 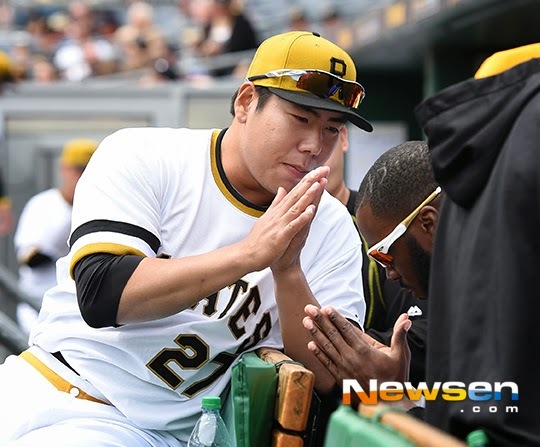 Kang has been playing games in the fall instructional league in Bradenton, Fla., after undergoing surgery to debride cartilage in his left wrist. Kang completed his rehabilitation by playing five instructional league games. General manager Neal Huntington said Kang will get some playing time, but he didn't anticipate him starting all three games. "We only have three games left in our season after today and wanted to respect his hard work, his intent to get back, his work to get back," Huntington said. "It's not really going to help us a lot in our evaluation process as to where we take this, but at the same time, give him an opportunity to get back to the big leagues, which is any guy's goal." Kang was not able to enter the United States last year after a December 2016 DUI arrest in South Korea, later revealed to be his third such charge since 2009. He was also investigated but not charged by the Chicago Police Department in 2016 after a sexual assault allegation was made against him. Kang joined the team in 2015 after being a top prospect in the Korean Baseball Organization.